Good morning everyone! I hope you all are doing well and have had a great start to the day. The Basics are marching out to Jacks Valley this morning, and we'll be covering every bit of it. After they arrive in Jacks, they'll begin setting up everything they'll need for the next two weeks. 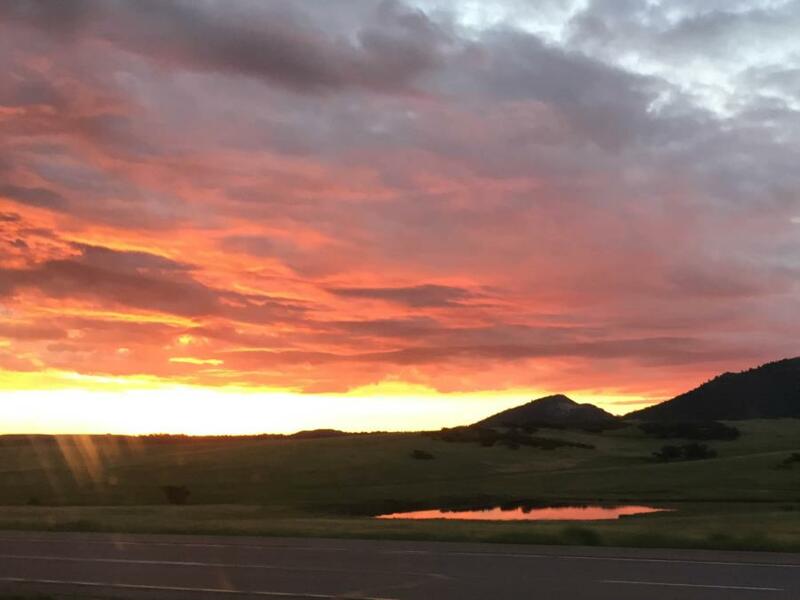 As I drove in this morning, I saw the beautiful sunrise and couldn't help but think of something WebGuy told me a few years ago as we waited for Basics to return from Jacks Valley. We were waiting near the terrazzo and he looked around and started talking about how beautiful of an area the base is. He talked about how easy it was to get so wrapped up in day-to-day activities and forget just how incredible this place is, especially when you're a cadet. As your Basics carry on through the Academy, remind them every once in a while to sit back and look at where they are. It truly is beautiful here, and I'm so happy I get the opportunity to work here every day. Here's my attempt at catching the sunrise this morning, but it doesn't quite do it justice.